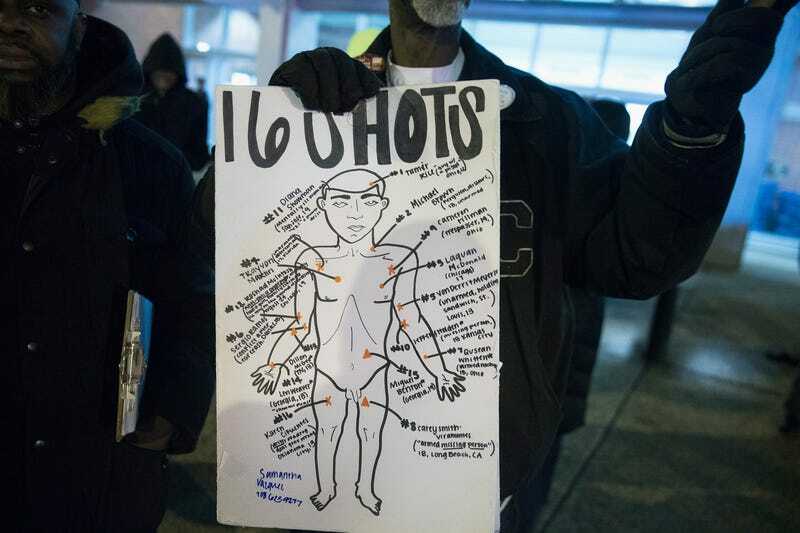 “In October of 2014, a white police officer fatally shot a black teenager on the streets of Chicago,” states the first line of 16 Shots’ description before expounding. Now almost 15 episodes in, the podcast (a collaboration between WBEZ Chicago and the Chicago Tribune) continues in that pattern, letting statements hit the listener hard before the many supplemental facts wash over them, briefly pooling at their feet to offer a moment of reflection before the next wave. And there are many such waves. The shooting of Laquan McDonald was captured on video and sparked outrage across the city: Chicago’s top cop was fired, the local state’s attorney was voted out, and the feds were sent in to investigate the culture at the police department. The officer at the center of the shooting, Jason Van Dyke, is currently on trial for murder. It’s harrowing information that 16 Shots adeptly humanizes by bringing those involved to the forefront, pushing past crime statistics to offer an in-depth look at “the shooting, the fallout, and the trial” as well as the “long history of friction between African-Americans and the Chicago Police Department.” Their approach, which includes daily updates and audio clips from the trial itself, also allows the reporters to apply as much objectivity as possible to what is widely considered a cut-and-dried injustice.